Over the weekend my daughter and I went to lunch with my parents at this cute rooftop bar/restaurant on the river in Fernandina Beach, FL. As we were sipping our drinks, waiting on oysters I was telling them about what I had going on. As I went on to tell them about my many, many ideas my dad chuckles because I am all over the place! I actually have focused down to three things, which is progress! First we have to recognize that we are all over the place. For me, it was last weekend. I had so many ideas on how to grow my business, increase my work performance, and start a travel freelance writing side hustle that I was literally all over the place. I was spending all my time researching things and not actually making any progress towards any goals. I am not one to focus on just one thing! You can probably tell this about me since I work a full time job in HR while also running this coaching business :) One of my other passions is travel and I came across a cool site that shows you how to get started. What I found was that if I wanted to also look at travel writing, I would need to find a way to fit it in with what I am currently doing. I have narrowed down my focus to three goals and then give myself tasks weekly, with deadlines (using the Asana app) to make sure I am making progress. You have to ignore things that are not on your focus list! This is so hard for me because I love researching new things. But I know if I don't stay focused I will not reach my goals. What I will do is make a note of the things I want to look into. Then once I have completed these goals, I can decide if I want to add something new into my focus list. I hope these help you! Why don't you pick a focus for the month of April and maybe May? You could set some goals aligned to your focus and make some real progress. Feel free to share your focus below! 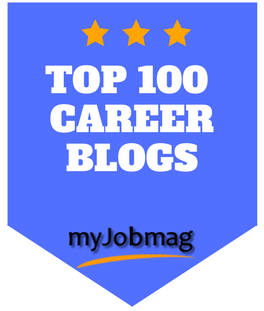 Sign up today to keep up with the latest career news and tips. You will also get a free Career Jumps-start Toolkit! Yes I want my toolkit!